Hold on, there, graphene. You might think you’re the most interesting new nanomaterial of the century, but boron might already have you beat, according to scientists at Rice University. A Rice team that simulated one-dimensional forms of boron — both two-atom-wide ribbons and single-atom chains — found they possess unique properties. The new findings appear this week in the Journal of the American Chemical Society. For example, if metallic ribbons of boron are stretched, they morph into antiferromagnetic semiconducting chains, and when released they fold back into ribbons. 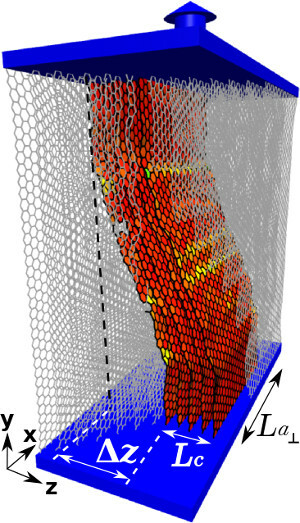 What lies beneath growing islands of graphene is important to its properties, according to a new study led by Rice University. 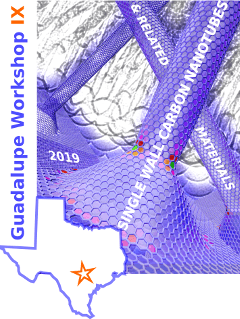 Scientists at Rice analyzed patterns of graphene – a single-atom-thick sheet of carbon – grown in a furnace via chemical vapor deposition. 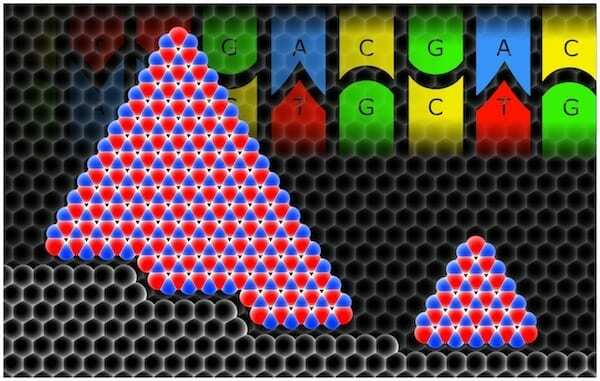 They discovered that the geometric relationship between graphene and the substrate, the underlying material on which carbon assembles atom by atom, determines how the island shapes emerge. The study led by Rice theoretical physicist Boris Yakobson and postdoctoral researcher Vasilii Artyukhov shows how the crystalline arrangement of atoms in substrates commonly used in graphene growth, such as nickel or copper, controls how islands form. The results appear this week in Physical Review Letters. 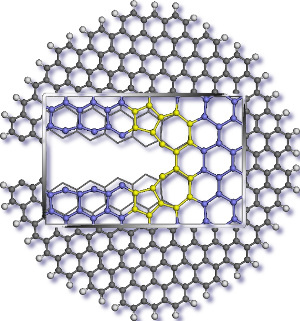 A recent work from the group on atomistic modeling of carbon fibers appears in the quarterly Editor’s Highlights for Carbon. These articles are handpicked by the Editors for the reader community and are made freely available for a limited time. Carbon fiber structure is excessively complex and modeling attempts necessarily rely on various approximations. 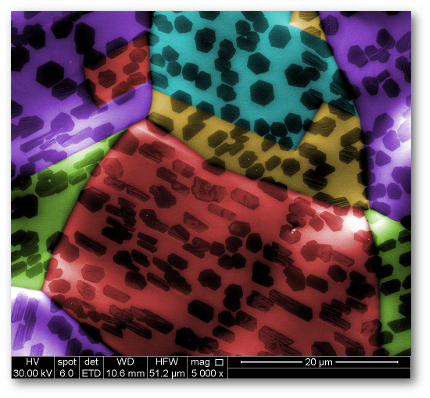 We have designed structural faults with atomistic details, pertaining to polyacrylonitrile (PAN) derived fibers, and probed them using large-scale molecular dynamics simulations to uncover trends and gain insight into the effect of local structure on the strength of the basic structural units (BSUs) and the role of interfaces between regions with different degrees of graphitization. Besides capturing the expected strength degrading with increasing misalignment, the designed basic structural units reveal atomistic details of local structural failure upon tensile loading. 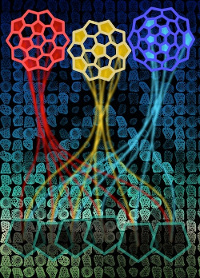 The image shows an atomistic representation of a BSU (~ 40,000 atoms); for clarity part of the geometry is not rendered. A misoriented block is highlighted. Load is applied along the fiber axis, as indicated by the thick arrow, by displacing thin slabs (“handles”) at the top and bottom of the system, schematically represented as plates. 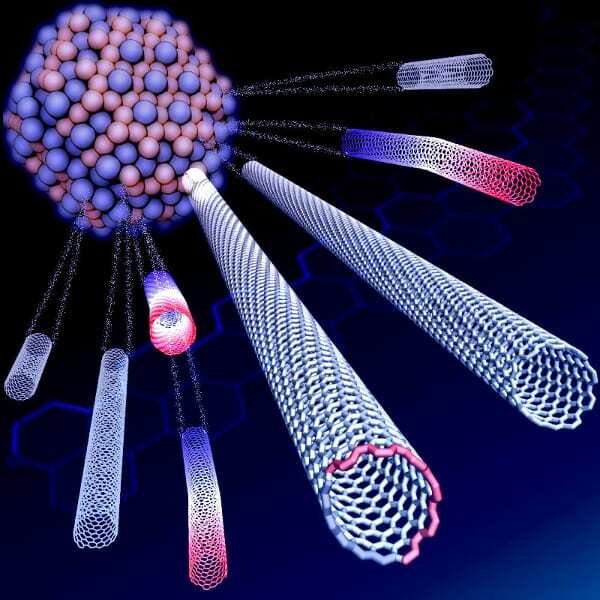 Theoretical physicist Boris Yakobson and his Rice colleagues found through exhaustive analysis that those who wish to control the chirality of nanotubes – the characteristic that determines their electrical properties – would be wise to look at other aspects of their growth.